November is National Bladder Health Awareness Month, a time to raise awareness about bladder conditions like neurogenic bladder, urinary incontinence or retention, bladder cancer, and many more. In the spirit of this month, Trish, one of our employees at 180 Medical who lives with Interstitial Cystitis, is excited to share another one of her tasty bladder-friendly recipes. 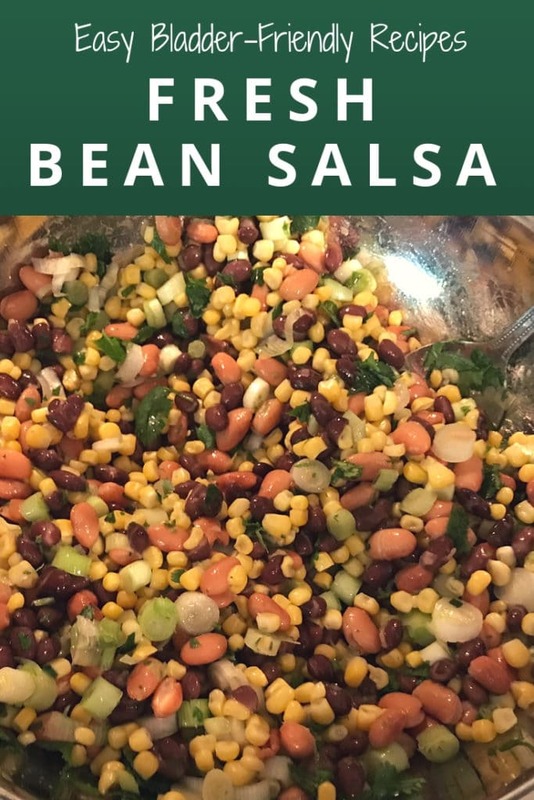 This Fresh Bean Salsa is super easy to make, and its clean ingredients are tasty while staying mild on the bladder. Gather the ingredients and try it out! 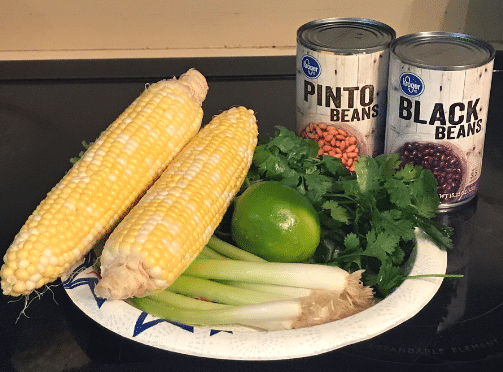 Prepare foods as directed in the Ingredients list (drain beans, chop cilantro and green onions, grate lime for the zest, and warm up frozen corn or slice corn from the cob). 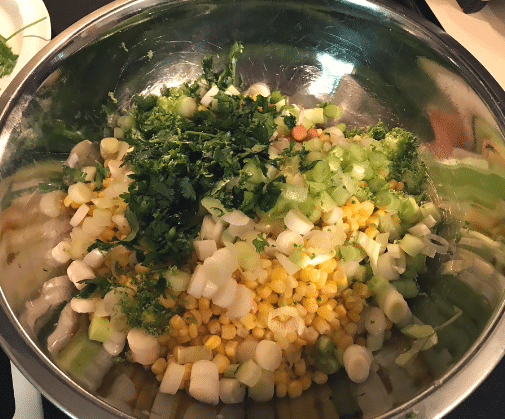 In a large mixing bowl, combine beans, corn, cilantro, green onions, and lime zest. Add a pinch of sea salt, a twist of black pepper, and a dash of garlic powder to the bowl). Stir together to mix, then cover and chill for 30 minutes in the refrigerator prior to serving. Serve with tortilla chips or as an accompaniment to tacos, fajitas, or nachos. You can alter this recipe according to your dietary restriction needs too. Trish notes that this recipe is excellent with a little melted mild cheddar on top, for instance, but only if you have no dairy allergies or sensitivities. The next time you’re invited to a party, you don’t have to turn down the invite. Instead, say yes, and bring something you can eat along with you! I’m trying to get out of the house more too because I’m determined not to let my illness control my life. Trish has worked as the Office Coordinator in our Nebraska office for 8 years. She was diagnosed with Interstitial Cystitis in 2014. Since that time, Trish has been working to find ways to more easily live with the often painful and uncomfortable symptoms of this condition, which is also known as Bladder Pain Syndrome. In her spare time, she likes sharing helpful tips for those also living with Interstitial Cystitis and creating new recipes that won’t cause irritation or flare-ups. Interstitial Cystitis is a bladder condition that causes inflammation, pain, and tenderness in the pelvic region. Sometimes, sufferers also experienced increased urgency and frequency of urination. Sometimes, the burning sensation can be confused with symptoms of urinary tract infections (UTIs). While there is no known cause or cure at this time, researchers continue to work toward finding more information about this condition. If you’re living with Interstitial Cystitis, talk to your doctor about treatment options for pain relief and bladder relaxation. While Interstitial Cystitis affects around 4 to 12 million people in the United States, other issues like urinary incontinence affect an estimated 200 million people worldwide. Even though you may think you’re alone in dealing with your bladder issues, you’re certainly among many others who may live with symptoms like yours. We encourage you to speak to your healthcare provider about any symptoms you may be having. Getting treatment could help you get back to living normally without fear or embarrassment. If your prescribed treatment plan includes using intermittent catheters to manage your symptoms, 180 Medical is here for you. Our staff can help you with catheter selection, and we’ll treat your concerns with respect and compassion. Give us a call today! Subscribe to receive our monthly newsletter with product news, tips, events, and more! Jessica is the Marketing Specialist at 180 Medical, and she's been a part of the 180 family for almost 10 years. Her favorite part of working here is seeing the positive difference we make in others' lives. She loves creative writing, listening to podcasts, discovering new music, and spending time with her loved ones (including her awesome dogs). 180 Medical employees have begun a water challenge to focus even more on our health. Learn more about the challenge as well as the benefits of drinking more water and eliminating sugary drinks and caffeine with our latest blog. If you’re living with interstitial cystitis, you’re not alone. Get the resources and support you need here! November is Bladder Health Month. Learn more about the importance of your bladder as well as ways to maintain and improve its health with our newest blog post.